Nothing ruins the look of a beautiful tile floor like dingy, dirty grout. How can you keep your tile grout clean? The experts at Indianapolis tile store, Kermans Flooring, hear this question often. It's probably the number one cleaning concern for ceramic, porcelain, glass or any type of tile flooring. Before we get into our tips, lets talk about manufacturer's warranties for a minute. Before doing any cleaning you should always read your warranty to see what the manufacturer recommends. If you choose to clean your floor in a non-recommended manner you could void your warranty. Our primary grout maintenance tip involves natural products - not chemicals - but you should still review your warranty to make sure it is considered acceptable for your specific tile and grout. Tip #1: Seal your grout. You'll have a couple of choices of sealants, some lasting longer than others, but the best thing you can do to keep your grout clean happens before you even walk on the floor. Sealants prevent dirt and spills from soaking into the grout and permanently staining it. 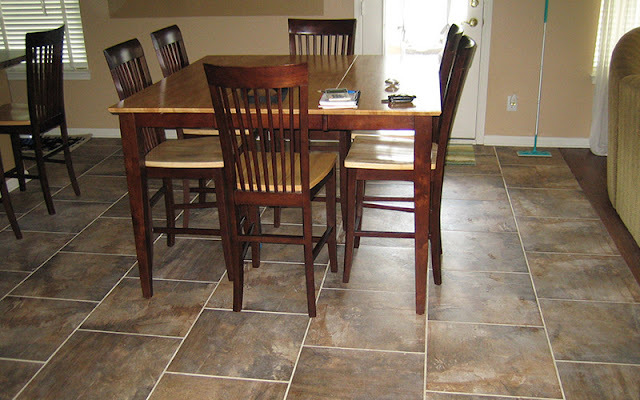 However, no grout can guarantee against surface build-up that happens over time. 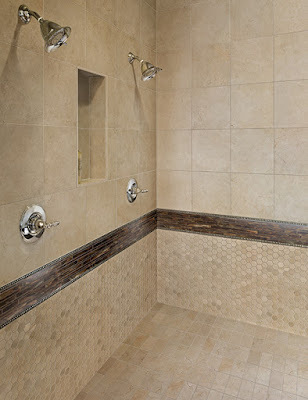 All grout needs to be cleaned periodically to remove that build-up. That brings us to tip #2: Make grout cleaning part of your regular routine. If you clean your grout regularly - say once a month or even once a quarter - the surface build-up will be manageable with simple, over the counter cleaning options. If you wait longer you will likely need professional strength cleaner that can be purchased here at Kermans. Sprinkle baking soda on your tile floor, paying special attention to make sure it covers your grout - even rubbing it in with your fingers. Fill a spray bottle with vinegar and spray it over the tiles and grout (when combined with the baking soda it will bubble up and break down the grime and dirt). After it is done bubbling, rinse with water and wipe with a damp cloth. When finished rinsing, sweep and mop your floor to remove any additional baking soda residue.